Our "Colin CO2" software has now been released. 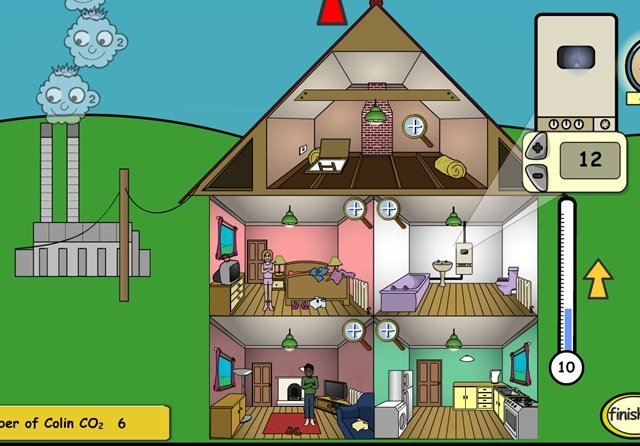 The project, developed in Flash by Electronic Blackboard for MWNet, The West Midlands Regional Broadband Consortium, features two games developed by Chaos Created designed to increase environmental awareness in young children. It also features a story which introduced "Colin" (CO2) as a character and explains the effect CO2 has on the planet. The project features three games in total, providing a final outcome of a printable certificate. 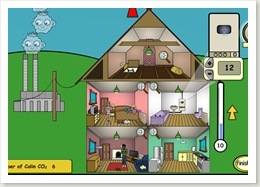 This encourages children to make the best decisions and learn the basics about being environmentally friendly. Children learn how devices use electricity, and how switching off unused devices will save energy around the home, producing less "Colins". Children learn how putting on an extra layer of clothing, instead of turning up the heat, is better for the environment. Children could also insulate the loft, leading to further discussions on how making changes around the home can save energy. Children learn about environmentally friendly forms of transportation, such as walking and cycling, and also how public transport is better than other vehicles. The software is now available to schools in the area through the internal network, but you can view the software on their public web site here.